decided that a trip to Nagasaki would be a great opportunity to check out this very interesting old port city. the port that the Japanese first allowed european trade and missionaries to be based. Also of course the site of the atomic explosion employed by the Americans towards the end of the pacific war. I enjoy train travel and purchased 2 tickets to get me to Nagasaki as no direct rail link possible. thought I was doing ok as I made it to this little station and waited for the next train and off I went again. After a time I began to get this horrible feeling that my train was heading in absolutely the wrong direction. Damn! Backtracked and managed to get myself back to a bigger junction station of Saga and had to repurchase a new ticket. 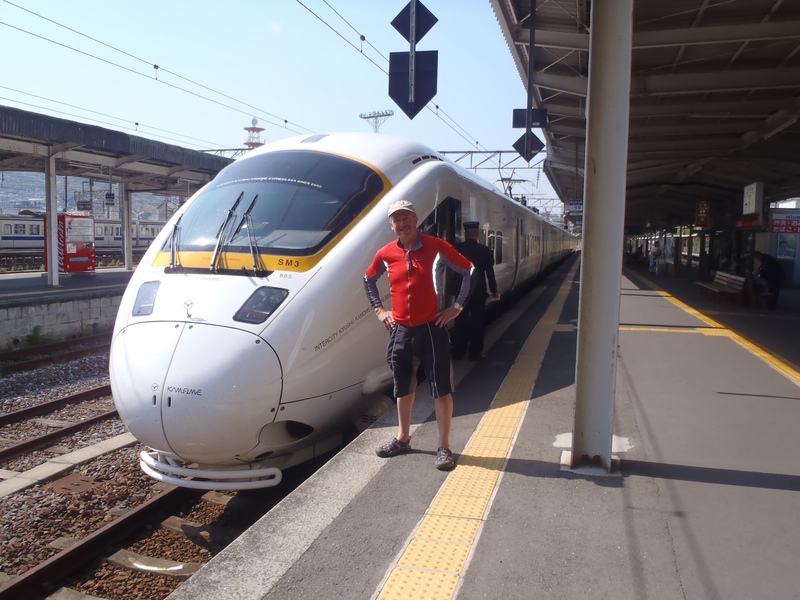 Was a good mistake to make as I managed this time to get a real fast train – pretty sleek and comfortable travel. My hotel in Nagasaki is in the old Dutch quarter of town and they still have some tourist spots to check close to my hotel. in my first foray by foot to was accosted by this group of high school kids on a school trip – all the way from Kobe. They had some sort of mission that involved finding a gaijin and asking him a pre prepared list of questions. I was the only non Asian anywhere about – in fact I have seen only a few non Asians on my walking of Nagasaki. After the questions they invited me to write some pearls of wisdom concerning world peace . OK no prob’s – after the 6th or 7th group it did become a bit wearisome.